← What to do on a night like this? Take a Break! Check Out Some Art! In addition to the museums in Balboa Park (http://www.balboapark.org/in-the-park/Museums) here are some art venues to enjoy in the downtown San Diego area. 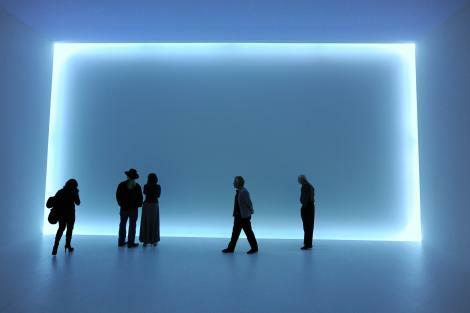 On view at the downtown MCASD location is Isaac Julien: Ten Thousand Waves. The nine-screen video installation explores ‘the movement of people across countries and continents and meditates on unfinished journeys.’ The work was filmed in the gorgeous and remote Guangxi Province and at the famous Shanghai Film Studios and other sites around Shanghai. Opening August 9th as part of the museum’s ongoing Cerca series is Margaret Noble: 44th and Landis. Sound artist Noble’s mixed media installation “charts a psychogeographical path through San Diego’s City Heights neighborhood.” Also on view through August 2012 is Doug Wheeler’s white neon light work, DW 68 VEN MCASD 11 in the Jacob building. White Box Contemporary / Alexander Salazar Fine Arts (Broadway and 7th Ave, www.whiteboxcontemporary.com; http://www.alexandersalazarfineart.com/). 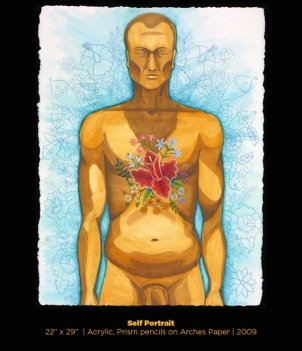 On exhibit is “Celebrity Skin” through August 25th. Curated by Raul Zamudio, the display showcases the work of an international roster of artists. If you’re in town early, stop by the opening reception on Saturday August 4th, 7-10 pm. SDSU Downtown Gallery (750 W. Broadway, corner with Kettner Blvd., http://downtowngallery.sdsu.edu) . The SDSU Downtown Gallery is one of two galleries affiliated with the School of Art, Design and Art History. For more than thirty years, the University Art Gallery, which is located on the SDSU campus, has received critical acclaim for its outstanding exhibition programming and curatorial vision. Currently on view is recollection, the third in a year-long series of exhibitions that feature the work of faculty.The gallery, located across the street from the Santa Fe Depot, is open Thursday through Monday 11am to 5 pm. 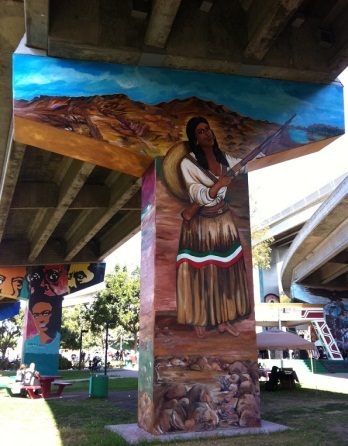 The Spot, at 1835 Main St. (http://thespotbarriologan.org/) is also part of the Barrio Logan Arts District. Currently on display is a toy vinyl exhibition presented by Monsters and Robots. The Ink Spot, Art Center Lofts, 710 – 13th Street (http://www.sandiegowriters.org/?page_id=532) Serving as a hub for the literary community, San Diego Writers, Ink. offers classes, workshops, readings and runs an art gallery. Exhibits rotate every two months and portions of the proceeds from art sales are donated to the center. The work of artist Nicole Waszak is featured in August. Michael J. Wolf Fine Arts (363 Fifth Ave., Suite 102, http://www.mjwfinearts.com/), showcases local, national and international artists. Located in the historic Brunswick building, the gallery specializes in modern painting and sculpture. Voz Alta (1754 National Ave., https://www.facebook.com/vozaltaproject) is currently exhibiting “Where You From?” A collection of sights & sounds from Alexandria, Egypt, the latest work by Bob Rob (Medina) through August 14th. Opening night on August 4th will include: 500 photographs, 50 drawings, paintings, prints, video, political posters, Egyptian style falafel sandwiches, traditional and contemporary Egyptian music, the likeness of stray pharaoh cats, and a little bit of everything else that represents the excitement and chaos of pre and post revolution life in Alexandria. Every Thursday is Latin jazz night led by trumpeter Bill Caballero at this small art space in Barrio Logan. The music starts at 7 pm and goes until 10 pm or so. Come early to save a seat and enjoy the artwork. The New Children’s Museum (200 West Island; http://www.thinkplaycreate.org/) whose mission is to “create site-specific works for a youth audience” is great fun to visit whether or not you bring along kids. San Diego Chinese Historical Museum (404 Third Ave.; http://www.sdchm.org/) collects, preserves and shares Chinese and Chinese American history, art and culture. 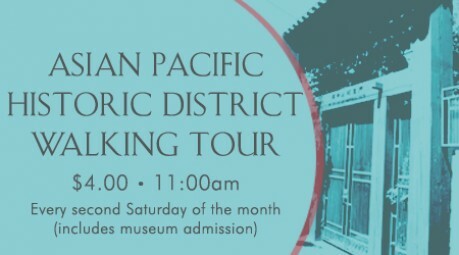 In addition to numerous special events, the museum sponsors a walking tour that explores Old Chinatown and Japanese and Filipino neighborhoods in downtown San Diego on the second Saturday of the month at 11 am. This entry was posted in Attractions, Events and tagged #saa12, art, museums. Bookmark the permalink.